Can Hailey Dethrone Kylie As Cosmetics Queen? Has Britney's Battle Just Begun? Jaden Smith Brings His Coachella Hookup Home! Hailey Baldwin filed for a trademark for "Bieber Beauty" -- will her brand eclipse billionaire Kylie Jenner's? Beyonce and Jay Z are clearly the reigning queen and king of raking in the big bucks! In a move of marketing genius, Beyonce repurposed her life-changing 2018 Coachella performance into a full-length album and released it the same day her Netflix documentary by the same name -- "Homecoming" -- dropped. Netflix is SO excited about their streaming film release, they've even re-branded their Twitter page in honor of Bey! Can Hailey Baldwin Dethrone Kylie Jenner As Queen Of Cosmetics? Here it comes, y'all! Hailey Baldwin has filed for a trademark on "Bieber Beauty" and we can feel the Sephora/Ulta battle brewing! Mrs. Bieber filed with the intent to launch “beauty and cosmetic products." She has also already filed to register “Hailey Bieber" in October 2018 with the intent to launch a clothing line, according to the US Trademark Office. Pretty smart, given that Kylie Jenner and her LipKits have made her the youngest billionaire EVER at 21. Clearly there's HUGE value in the Bieber name, so Hailey may as well make a few bucks off it! Britney Spears Fans Panic After Singer's Mom Lynne Posts Cryptic Message "The Battle Is Not Over, It Has Just Begun"
Fans are worried after Britney Spears' mom Lynne posted a cryptic message to Instagram that reads, "When God’s warriors go down on their knees, the battle is not over; it has just begun." She captioned it "This is faith!" Is she referring to Brit's recent hospitalization in a mental facility where she's seeking treatment following a difficult time with her father Jamie's health? Jamie Spears has been battling a serious colon issue and stress and worry over his condition is what seems to have triggered Britney's mental health issues. Of course Brit was in a downward spiral in 2007 and was subsequently hospitalized in 2008 at which time a judge put her under a conservatorship led by the singer's attorney and her father. Andrew Wallet, the lawyer assigned to the care and keeping of Britney's estate and business matters for the past ten years, recently quit as co-conservator so Jamie is now the sole person in charge -- and at a time when he is battling very serious health issues. Britney postponed her Las Vegas residency at the MGM Grand in January, following the family's announcement about her father's poor health. 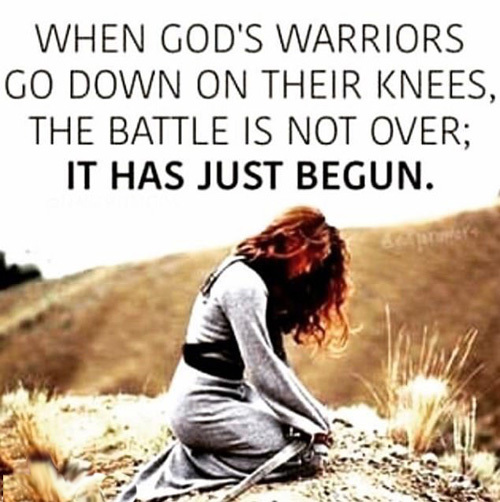 Of course Lynne's post could also be referring to her ex-husband's battle ... but it's a woman in the photo, kneeling and praying -- so is the "battle" she mentions, referring to daughter Britney's mental health battle? We're praying for you, Brit! Larsa Pippen doesn't want to follow in Jordyn Woods' footsteps so she's getting out ahead of the rumors she was flirting with BFF Kim Kardashian's ex-husband Kris Humphries at Coachella last weekend! Pippen, 44, commented on an Instagram post of a headline that claimed she was chatting up the basketballer out in the desert by writing: "The convo lasted all of 3 minutes. He told me he’s known Scottie since he was 14 and that he loves him and I said so do I." Larsa is Scottie Pippen's estranged wife, of course -- she filed for divorce in November after reconciling with the former NBA'er the previous year following HIS divorce filing in October 2016. As we all remember, Kim was famously married to Kris for just 72 days and later filed for divorce because that's when Kanye "had fell in love with Kiiiiim ... around the same time she had fell in love with hiiiiim." So what's next? Will Larsa make an appearance on Red Table Talk? Will she be publicly shamed and excommunicated by the Kar-Jenner clan? We hope she made an early-morning call to Kim today to get this cleared up! Jaden Smith is back in LA -- out from under the neon lights and smoky, dusty haze of Coachella -- with a mystery lady he reportedly hooked up with at various parties around the desert music festival. We spotted the new couple at the Calabasas Commons, on Monday, is a serious makeout sesh on a bench outside. The curly-haired brunette leaned in for the kill and Smith willingly obliged as the pair went out for lunch and kombucha in the early afternoon. All of this, as Smith has reportedly broken up with Fam actress Odessa Adlon. Those two had been dating for almost exactly a year. And then there's Jaden's supposed ex Tyler the Creator whom the young singer SWEARS he was dating. He told fans at Ty's Camp Flog Gnaw concert: "I just want to say Tyler, the Creator is the best friend in the world and I love him so f–king much. I want to tell you guys something: Tyler doesn’t want to say, but Tyler is my motherf–king boyfriend, and he’s been my motherf–king boyfriend my whole f–king life. Tyler, the Creator is my f–king boyfriend. 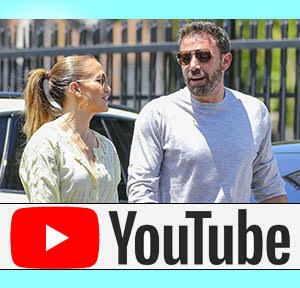 It’s true!” He even confirmed the relationship to X17 in THIS video. So who's this new love interest? Tell us in the comments if you know her! 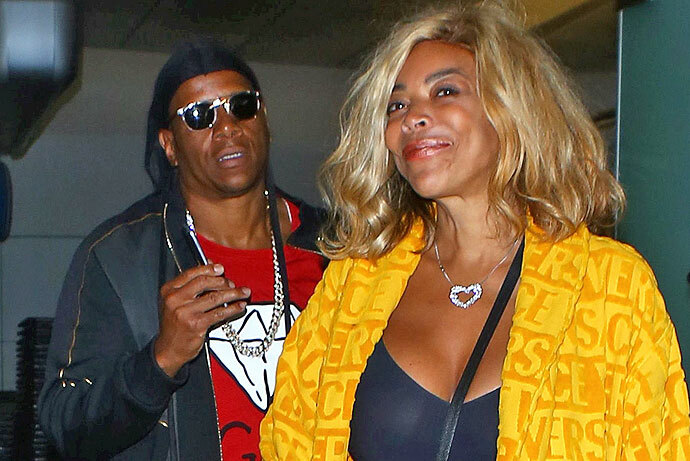 After almost a week since Wendy Williams filed for divorce from husband of 22 years Kevin Hunter, her estranged hubby has broken his silence. Wendy filed for divorce last Wednesday, April 10. The couple share an 18-year-old son Kevin, Jr. Wendy announced on her show Monday she'll be moving out of the sober house where she's been living for more than a month. She told her fans: "I have to tell you, you know I’ve been dealing with issues with addiction, alcoholism, and I have a whole new life that I plan for myself and my son. It’s one of the best things, honestly, that could have ever happened to me. … Addressing my sobriety, my addiction, head-on, has helped me sort out every single compartment of my life. I have a commitment to me and my son to come out of here better, stronger and faster than ever." Best of luck to you, Wendy! France is determined to rebuild their beloved Notre Dame Cathedral after a devastating fire yesterday and three of the country's richest people have stepped up to offer funding for what promises to be an immense and expensive undertaking. LVMH Group which owns luxury brands such as its namesake Louis Vuitton, Moet, Hennessy and others like Christian Dior, Givenchy, Dom Perignon, Veuve Clicquot, and Sephora and its CEO Bernard Arnault have committed 200 million Euros to the project. Arnault was just named by Bloomberg as the third-richest person in the world with a net worth of $90.4 billion -- more than that of Warren Buffett or Mark Zuckerberg. Competing group Kering, led by CEO Francois-Henri Pinault, who is married to Salma Hayek, was the first to pledge assistance with a commitment of 100 million Euros toward the rebuilding of the famed church. Kering owns luxury heritage brands Gucci, Saint Laurent, Alexander McQueen, Balenciaga, and others. Pinault said yesterday in a statement: "This tragedy is striking all the French people, and beyond that, all those attached to spiritual values. Faced with this tragedy, everyone wishes to give life back to this jewel of our heritage as soon as possible." French oil and gas company Total has also pledged 100 million Euros. The Bettencourt Meyers family, owners of 33% of L'Oreal, have matched Arnault's pledge of 200 million Euros. L'Oreal controls brands like Maybelline, Lancome, Garnier, and Kiehl's. The head of the family, Francoise, is the richest woman in the world with a net worth of $53.5 billion, according to Bloomberg. She inherited her stake in the company from her mother Liliane Bettencourt who died in 2017. She is the granddaughter of the company's founder. French President Emmanuel Macron has promised to rebuild the site, saying an international fundraising campaign will be launched to fund the restoration. The 850-year-old church is now vulnerable to water damage, as 2/3rds of the roof has collapsed. Even beginning the project could take time because immediate action needs to be taken to prevent further damage, after firefighters battled blazes for nine hours. 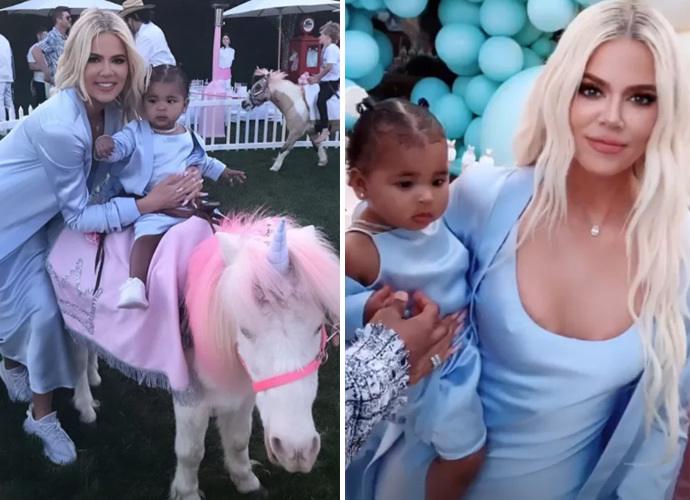 In true Kardashian style, Khloe threw an EPIC birthday party for her year-old daughter and she even put her differences with baby daddy Tristan Thompson and invited him to the big blowout. #Mature! Khloe had her party planners decorate in a multi-colored pastel theme, like an early Easter vibe. There was bunny-rabbit cotton candy, TONS of balloons, colorful parasols, pony rides, bounce houses, and basically anything and everything you can think of that a kid would want at her party! Khloe did a really cool thing by asking guests not to buy gifts for True but to donate presents to Children's Hospital LA, which is totally awesome. True's cousins Stormi, North, Chicago and Saint were all there. Nori got really dressed up for the big event, wearing her mom Kim's high heels -- SO CUTE! And perhaps the cutest detail of the day were the matching mommy-and-me baby blue dresses Khloe and True wore. They looked like beautiful little twins! No; Kylie will reign supreme! MUST-SEE VIDEO - Selena Gomez Joins Cardi B On Stage At Coachella For "Taki Taki"